When Does Canada Get Serious About Sport and Education? Throughout the recent Pan-Am Games in Toronto, again and again we heard about Canadian athletes attending NCAA schools. This spring saw some 15 Canadian athletes opt to attend NCAA ski racing programs, in what one US College coach called “a feeding frenzy”. The chance to combine sport and education is, to be absolutely clear, incredible. A blessing. A privilege. An opportunity! 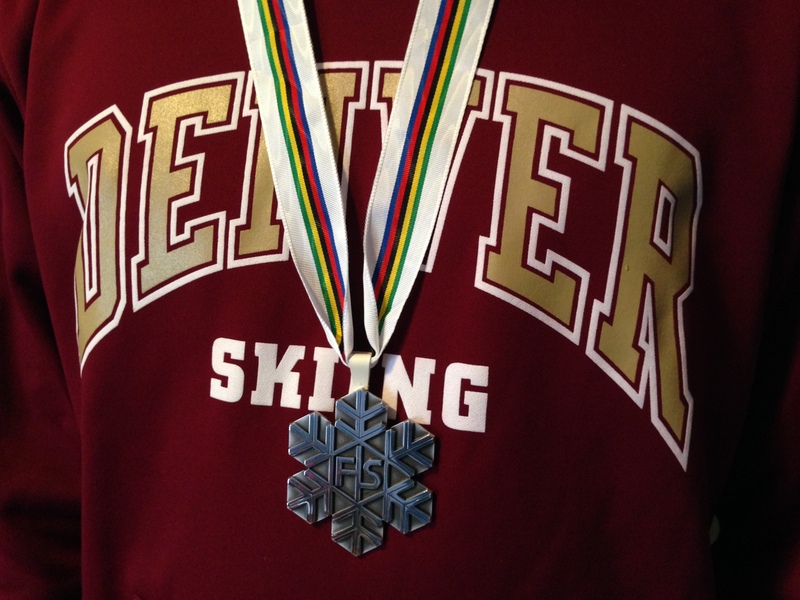 Having personal exposure to NCAA ski racing programs has been an eye-opener on many levels. First and foremost is the serious nature of sport and education in NCAA schools. This is not ‘basket-weaving’, but a commitment to both high performance sport combined with education. No fluff. GPA’s that typically run 3.5 or greater. Many with 4.0’s. And at schools where good marks do not come without serious commitment. University and College leaders who embrace the student-athlete, seeing the potential of a broader student community and embraces diversity which extends to a wide international reach that includes Slovenians, Croatians, Norwegians, Austrians, Canadians, Germans, Italians, Swiss, French, Chileans, Australians. NCAA alpine ski racing is just as focused as athletics, football and swimming. Current athletes and alumnus from the NCAA domain are placing in World Cup and World Championship competition. Winning Olympic and World Championship medals. Canadians figure prominently in the current crop, placing 6 in the top 11 of the 2015 NCAA Championship slalom last winter in Lake Placid. (Note: A result that prompted not one mention in any form of Canadian media or web posting). Another level is patience and how NCAA ski racing can help. Sport is evolving to more mature athletes. Where once an athlete in their early-30’s was considered in the twilight of their career, today we find mature athletes pushing the boundary of age. Didier Cuche (retired at 38). Patrick Jarbyn (retired at 40). Didier Defago (retired at 38). Benny Raich (age 37) still soldiers on. Current athletes such as Lindsay Vonn (birth year 1984) and Askel Lund Svindal (1982) show no signs of slowing down. Many sport administrators will quickly point out this stellar list moved directly into the upper ranks of competition without a delay for school. But what is not well-known is several are actually taking classes part-time, keeping their brain cells engaged and chipping away at their post-competitive career options, including one Olympic gold medalist. A non-education pathway also assumes a smooth ride to the top. The real-life Gold Medal Pathway in alpine ski racing is long, tough and often tortuous. It takes into account the many challenges of our sport: injury, the need to gain experience, physical and mental maturity. A real-life Gold Medal Pathway includes patience as a fundamental principle. The marquee athlete of the NCAA pathway is Leif Kristian Haugen. A freshly minted graduate of Denver, Haugen has asserted himself on the World Cup Tour since his final year of NCAA racing and now is ranked 11th in the world in GS. Sharing this spotlight is Jonathan Nordbotten (UVM), Trevor Philp (Denver), David Chodousky (Dartmouth), Olympic double-medalist Andrew Weibrecht (Dartmouth) current World Junior Championship medalist AJ Ginnis (Dartmouth) and many more. While patience to allow an athlete to mature should be a foundation of the Gold Medal Pathway, the concept of retention should also be core. Keeping talented athletes racing, who have already benefited from significant investment by the system, is just common sense. NCAA ski racing compliments this. Many sport leaders seem to forget that the single greatest influence on an athlete are their parents. And what parent in 2015 wants to put the future of their child at risk? The risk I speak of is substantively delaying their education. Sport is risky enough. Why, in the 21st century do we tolerate a sport system (in Canada) that does not embrace and the student-athlete? Parents in alpine ski racing value sport, but they also value education. Where it can be blended is to be celebrated. To maintain the core commitment of the high performance pathway while also nailing down an undergraduate degree receives hugely positive response. Canadians are so fortunate the NCAA system welcomes and celebrates our kids. So if some 40%+ of Canada’s high performance ski racers are now in the NCAA system, what’s the issue? One of the most successful ski racing nations in the world has made sport and education a priority. This is seen in their alliance with Westminster College (now moving into a second four-year renewal) and Dartmouth College. Their training plans accommodate athletes choosing to attend classes, both in the off-season (spring) and for those in full-time programs. They established a National University Team this spring. Age discrimination is addressed through ‘coaches discretion’ to accommodate the concept of patience and allow athletes who choose to manage education or must face the pitfalls of injury, get precious time to mature or rebuild. USSA and the USST are embracing the concept of development of the whole person including education. USSA is engaging their membership, coaches and parents actively through their committee system to debate and reflect on how best to build a strategy. This process has provided the USSA Board with a vision of where they want to go to support and retain their athletes. A real-world Gold Medal Pathway includes educational options and partnerships. It ensures the leadership of a sport actually attend UNI FIS races to understand how the system works, meet the coaches and understand the differences in the various schools. It includes an understanding of the NCAA rules and where the limitations exist for an aspiring high performance athlete in coaching, training and access to support. It includes open-minded leaders who welcome a national discussion that includes parents and coaches about the best way to retain those athletes who want to combine sport and school. It includes an action plan. A deliberate Gold Medal Pathway is inclusive. It works to keep athletes in the system. Fundamentally, I would like to see the Canadian Intercollegiate System (CIS) embrace sport scholarships that are meaningful and encourage our best and brightest to keep training and competing in Canada in alpine ski racing and many other Olympic sports. But this is likely to be a very long and probably unsuccessful path. So fortunately we do have the NCAA. Deliverables: give this group a short time frame to poll the community, develop a program and goals and report back, with the objective of establishing a National Strategy to be implemented for season 2016-17. Target completion for March/2016 in advance of season-ending athlete pathway decisions. But for now, there is a deafening silence when it comes to discussing how, when and why. Of examining what others are doing and what might be required to turn a plan into action. Of establishing a dialogue to properly manage our athletes, considering options to fill the gaps that do exist in the NCAA option. A world-leading vision that will excite and inspire athletes and parents in Canadian alpine ski racing. Because as we wait another season slips by. This blog has been edited. I do my best to try to be accurate, but am only human. When an error is pointed out, I correct it. And in the future, I will note if a blog has been edited. Westminster College and USSA just inked a four year renewal of a program where USST athletes are able to study under a special tuition grant. Racers will get financial support through the PyeongChang 2018 Olympic Winter Games in South Korea. This entry was posted in NCAA Alpine Ski Racing and tagged Alpine Skiing, education, FIS, winter sport. Bookmark the permalink. 5 Responses to When Does Canada Get Serious About Sport and Education? I enjoy reading your posts. Always thoughtful. You have a distinguished record of providing thought leadership to the sport system. Ken – here is something you might like, a grassroots effort in the Ottawa-Gatineau region to keep FIS racers in the sport longer while going to University. http://universityskiteam.ca/ . Loved this post. This is needed in Canada – options for high performing athletes to continue to race and also continue to get a quality education. The proglem is something too few folks are speaking intelligently about.